Shield announced yesterday that it has been nominated for 'Best New Sponsorship' and 'Campaign of the Year' at this year's Sport Industry Awards taking place at the Sandton Convention Centre this Friday, 17 August. 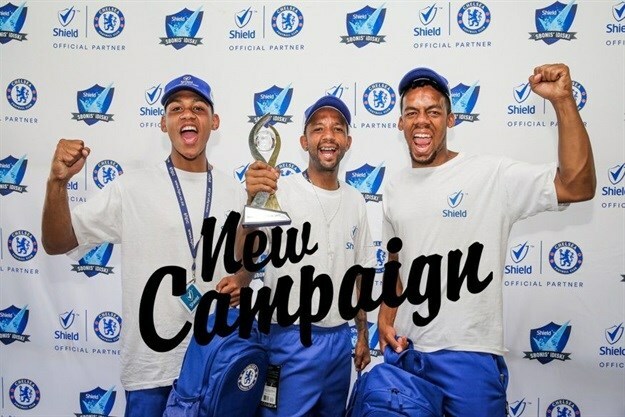 Shield’s Sbonis’ iDiski campaign allows aspiring South African soccer players to train in a programme developed and monitored by Chelsea Football Club and Shield in South Africa. The players that took part in 2017 have learned invaluable skills from some of the world’s best development coaches including football skills development, match strategy, diet and nutrition, even media liaison training. "Aspiring footballers in South Africa have the skill but don’t have access to a platform for them to showcase their talent. We wanted to play a part in closing the gap between grassroots and professional football," explains Shield’s senior brand manager Gareth Marshall. After the national training and selection process, the top three players, Quade Roskruge, Alanzo Khun and Joshua Roman were afforded the opportunity to experience the home of Chelsea Football at the training facility in Cobham, UK. Now in year two, the campaign is running successfully in eight African territories with an additional five lined up for 2019. “At the beginning of this campaign, we had to take a hard look at the brand to dissect where we’ve been and where we want to be. We wanted to really have a singular focus, and through our unique South African insights, we saw soccer and specifically skills development as the ideal vehicle to connect with the South African consumer. Congrats on being shortlisted! Why soccer and specifically skills development? Skills development is fundamental in getting to the next level in any sport and specifically in football for South Africa. However, we wanted to offer something different which is why we developed this opportunity with Chelsea FC. The opportunity gives aspiring footballers a taste of what it’s like to live and train like a professional footballer at Chelsea whilst equipping them with the skills to showcase their talent. Tell us more about the national training and selection process? We started with regional trials open to everyone over-18 around the country led by former Bafana Bafana defender Siphiwe Mkhonza and his coaching team. Whilst learning from them, they will also show their skills with the aim to make it to finals week – only the top five per region made it to finals week at the High-Performance Centre in Pretoria led by the Chelsea Foundation coaches. While the fundamentals of football skills development were covered, the coaches also covered match strategy, diet and nutrition, and media liaison training. At the end of the week, the coaches selected the top three who travelled to the UK to experience training at Cobham – the home of Chelsea FC’s training grounds. We always knew we wanted to own a unique space within football instead of just placing a logo onto a few shirts. This campaign is embedded in a philosophy of self-betterment and the journey all of our contestants embark on – irrespective of whether they ultimately ‘win’ the grand prize – empowers them with invaluable skills and tools to live better lives on and off the field. Committed to empowering young South African’s to follow their dreams by providing confidence in pressure moments, Shield won’t let you down. What is the objective and what has the response been so far? As an FMCG brand we don’t enjoy the luxury of sponsorship for the sake of ‘brand building’. 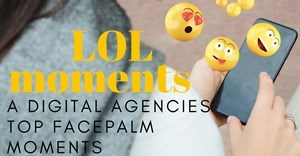 We approached this strategically to both create a compelling reason for the brand to exist in the eyes of modern consumers, as well as to ensure sales increase as a result of this strategic marketing alignment. We are thrilled to see a significant increase in the spontaneous dialogue around Shield as a brand in both traditional and social media platforms, and as importantly a robust increase in sales as a direct result of embracing a meaningful and carefully crafted sponsorship strategy. As a direct result of the success of the campaign in 2017, the African business has already embraced the campaign and it’s running successfully in eight African territories with a further five due to come in line in 2019. For South Africa, we are constantly evaluating the optimum way to extend our footprint to get as many people as we can through the programme, and have a few exciting operational changes we will be implementing from next year to achieve this goal.